Pleat Hem Plus Size Tunic Top is rated 3.8 out of 5 by 6. 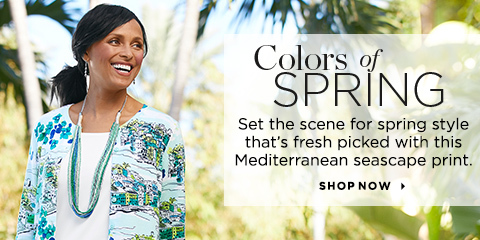 Soft, comfortable fabric in a versatile hue ensures this easygoing tunic tee will become a wardrobe favorite. It also features relaxed dolman sleeves and eye-catching pleats at the hemline. Rated 5 out of 5 by Rooty2ty from Cute tunic! Great top, nice relaxed fit, sleeves almost to elbows, perfect length! And a neckline that isn’t down to there!! I wish it was offered in other colors too! Rated 4 out of 5 by CMK from Tn from Cute top Loved it, but runs very large. Unhappy that I had to return it. Rated 5 out of 5 by gramsto10 from Great style! Love the longer style over the waist/hips. This top can be dressed up with a scarf or a wide variety of jewelry. Rated 4 out of 5 by Claudia8 from Great fit! So glad to have this tunic top. It is very feminine and attractive with any summer pants or shorts. Rated 3 out of 5 by MaryRo from Fits OK This shirt has a nice style. It runs a little to big.